Marketplaces appear when all sides that take part in any business have extra resources. Some have a budget to spend, others have a products and services to sell. And there always are some people who need to hire someone or to sell their expertise. What this has to do with Drupal? Drupal is growing very faster. Thanks to its dedicated development team and the fast growing community the CMS is earned new fans. But what makes me to think that Drupal CMS is now mature for glory is that there more and more people who want to build their websites on Drupal. And this results in a growing search for Drupal work force. Here are the best places to meet other Drupal professionals and to drupal-ize. 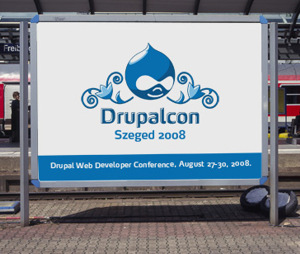 They are the best place to meet other Drupal addicted persons and companies. This year Acquia was the main sponsor of DrupalCon Szeged and I’m sure that companies like this one that offer services and support for Drupal CMs and well as commercial distributions of Drupal CMS will help the whole community to bring Drupal in another level and to convince bigger businesses to use the platform for their web based business. The marketplace in Drupal’s official website is probably the best place where drupalized developers and professionals should go. it is well organized and elegantly desgined and the most important thing – busy. Check also Paid Services and Jobs section in Drupal.org. These above are original resources of Drupal community and it is better to spend some time there before visiting other Drupal marketplaces. Drupaldevelopers.net has a plain friendly designed marketplace for Drupal CMs developers that offers a marketplace for full-time jobs and part time Drupal engagement (called “Gigs”). The website also publishes listings from Drupal.org. DrupalJob.com has a classic design and it is a good place where to search for Drupal jobs. Opensourcexperts.com is not a marketplace dedicated to Drupal but it has a Drupal section where to search for / or to offer Drupal related services. Simplyhired.com has a Drupal listings rich sections. Check it out. MyDrupal also has a small Drupal marketplace.